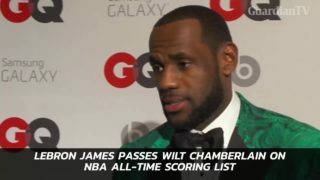 LeBron James passes Wilt Chamberlain for fifth on NBA all-time scoring list James scored a season-high 44 points to lead the Los Angeles Lakers to a 126-117 victory over the Portland Trail Blazers Wednesday night. 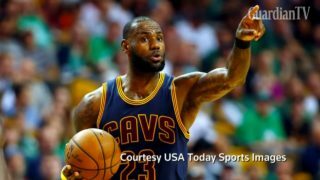 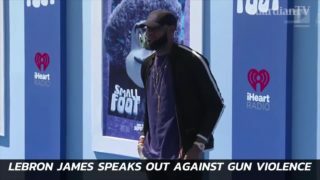 Basketball superstar LeBron James' Los Angeles home was vandalised with a racial slur, police said on Wednesday, one day before the Cleveland Cavaliers player was set to take the court in the first game of the NBA finals. 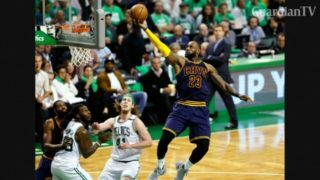 Cleveland Cavaliers star LeBron James surpasses Michael Jordan to become NBA all-time leading playoff scorer.